Dr. Rob Irons's fascination with distant cultures and civilizations would propel him across Europe and the United States, and finally back to Hampden-Sydney as the newest professor in the Classics Department. When Dr. Robert Irons '00 was a young boy, he would flip through issues of National Geographic with eager eyes and steadfast resolve. "I'd never really been anywhere," he said, "and I'd see all of these far-off and amazing places, and I told myself, 'As soon as I can, no matter what I have to do, I'm going to go see these things.'" 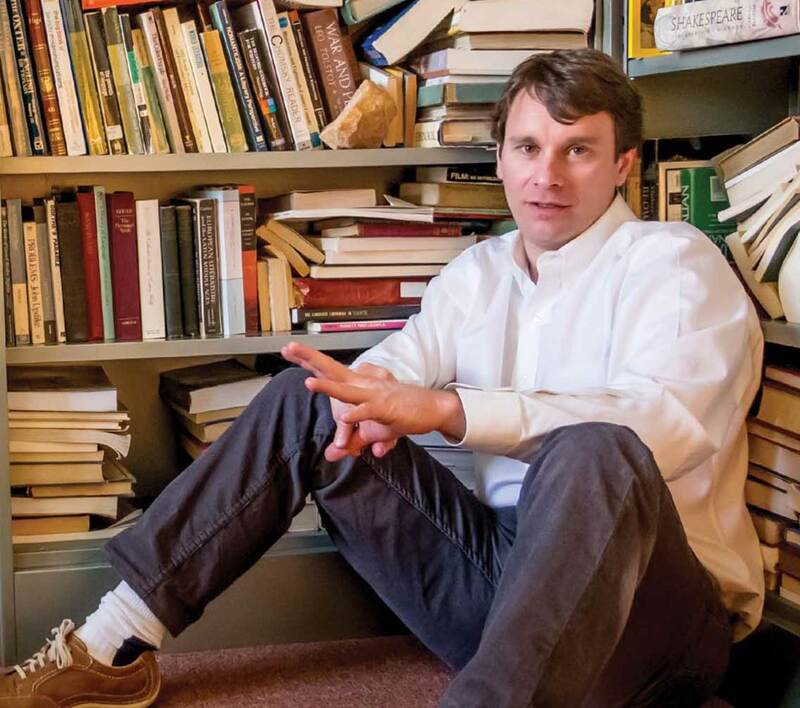 Irons's fascination with distant cultures and civilizations would propel him across Europe and the United States, through years of hardship and study, and finally back to Hampden-Sydney as the newest professor in the Classics Department. He currently teaches Greek and Latin, and next semester he will teach Western culture. His loop from student to teacher was neither easy nor short, but it was a path he took deliberately, and not without the requisite faith and courage in his endeavors. Soon after his graduation, he bought a one-way ticket to Ireland. "I worked on a farm there for about three months, saved a little money, and started travelling, taking odd jobs wherever I could," he recalled. He worked his way to Italy, where he taught private English lessons, with the ultimate goal of learning enough to be able to read classic Italian literature in its original text. He returned to the United States where he taught world literature at the Blue Ridge School near Charlottesville, also coaching soccer, lacrosse, and the academic team. He later tutored Greek at St. John's College in Annapolis, where he earned an M.A., and then taught English at the University of Arkansas. At the University of South Carolina he earned his Ph.D., studying comparative literature and classics, also teaching Greek, Latin, Italian, and world literature. Immersing oneself in antiquity is much like sinking into quicksand, he said, in that his curiosity keeps pulling him deeper into the ancient world, digging to find answers and unearth new discoveries. "It's nourishing and fulfilling," he said. Although it's been a personal journey, he's always had the desire to show others what he's found. After years of delving into his studies, he drew at least one, definite conclusion: "All I knew is that I wanted to teach." In the fall of 2014, he returned to his alma mater. 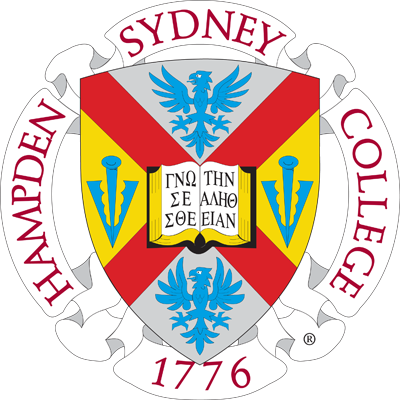 "It may sound odd," he said, "but the pleasure of coming back to Hampden-Sydney had nothing to do with my being an alumnus. It had everything to do with what the College is and what it stands for. This is a place that truly values teaching and the development of its students. I'd be just as happy if there were another place a lot like this. But I don't know of many." His teaching of Greek and Latin goes far beyond mere vocabulary lists, conjugations, and translations. "There are few things students learn that are purely factual. Even if they are matters of fact, it is important to reason why they are matters of fact," he emphasized. "My approach has always been to think along with the student, to spend time wondering about things. "Of course verb paradigms and declensions have to be burned into your brain, but that doesn't preclude the possibility of wondering about the ideas behind grammar or why words mean what they do-or even how the way we're thinking about things changes our thinking itself. This is a hard thing to negotiate, especially in beginning classes. You need to balance facts that need to be learned with wanting to develop the students' capacities to wonder. I believe in the end, that will serve them almost more than anything else." His Greek students recently learned the difference between imperfect tense and the simple past, both in Greek literature and in modern English. They looked at how the two tenses can change the meaning of a statement in subtle but significant ways, and "how causality can be implicitly inserted simply by juxtaposing sentences that mix forms of the past tense," as he explained. These close examinations of languages exercise students' minds to help them form and organize their thoughts more clearly both in speech and in writing. Like an adjustable wrench, the ability to think critically and to form coherent arguments through language is a tool adaptable to many situations in which a man may find himself both personally and professionally. It is this mechanism that Irons hopes students will take away from his classes. "I hope that above all, they will want to know about everything around them, that they're going to really develop an indefatigable love of learning," he said. "And it doesn't have to be in classics. I don't want them to have any experience, no matter how mundane, that isn't infused with some sort of thinking or wondering. I want any given experience to potentially be an opportunity for reflection. Even if they forget all their Greek and Latin, but they're spending the rest of their lives thinking, then I would be satisfied."